Wow. 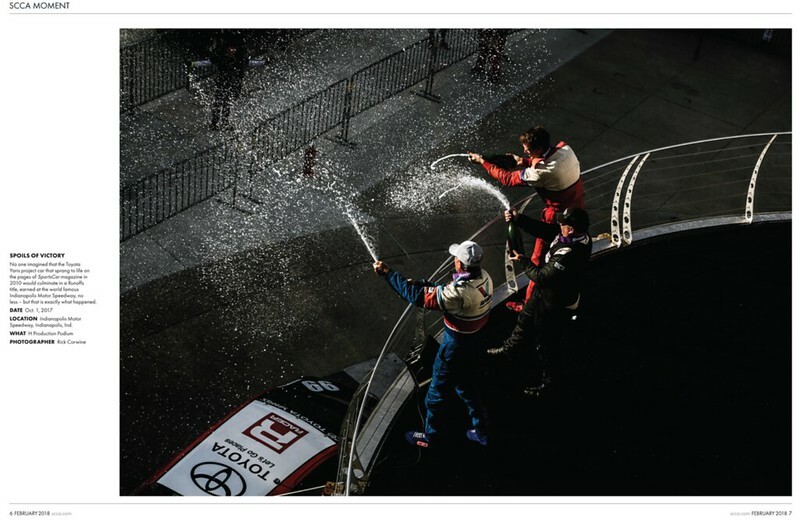 So I opened up Sports Car Magazine yesterday to see a cool 2 page spread of Ron, Jason and me enjoying the last podium celebration of the week. It's really cool to literally be in the "team picture" with two such accomplished prod racers. Dude, you (and your son) belong on the Podium first of all for getting the new front end on your car. THEN you probably raced one of the best races of your life. Of course you were in a race with a shall we say sponsored dog therefore the two page spread. GREAT JOB!!! Much better than your Road America podium several weeks before when I doubt you knew your own name.